could sit down in front of this one and look at it for hours. There’s only one little thing I find annoying about this and it is the fact that the soap itself is a teeny bit to thick so it has a tendancy to goop up all over my sink when it falls out of my hands. also makes my house smelling incredible. This stuff is frequently on sale so it is very easy for me to stock up a couple of bottles for my futur needs. 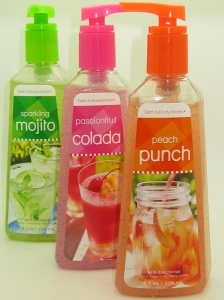 brand makes different scents according to each season, which I find so funny. They all smell so good. I loveso much the awesome festive packaging of it because it gets very easy to give it to someone as a gift.